At Hotel Behrmann, part of the local Hesse Hotel chain, we enjoyed a decent size room in prime location in central Blankenese, an upmarket area of Hamburg. Insisting on a quiet room in our booking request, we were lucky to get a large, patio facing room, away from the main street “Elbchaussee”. The bathroom with a shower was modern, but very narrow. We felt that 110€ per night (incl tax) for a large, quiet room and breakfast buffet were very reasonable, considering the location. The hotel is well run and rooms were clean throughout. When we visited over the Whitsun weekend, the hotel was busy with couples and families. The breakfast buffet was well stocked, though at around 10:30 am the scrambled egg was already cold. The green tea with one 5gr tea bag per pot was a bit of a disappointment, but the coffee was fine. The staff are friendly and uncomplicated, facilitated keys for our late arrival and didn’t request a deposit for the booking. 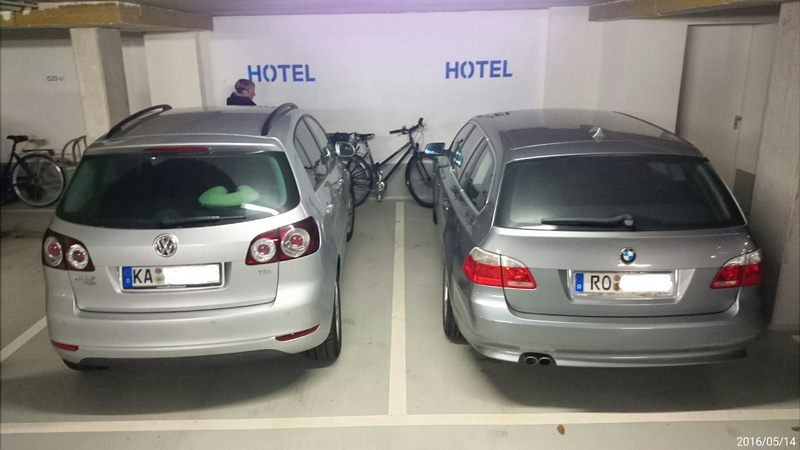 The hotel doesn’t offer bike parking, though we parked our bikes in the underground garage where it felt safe. 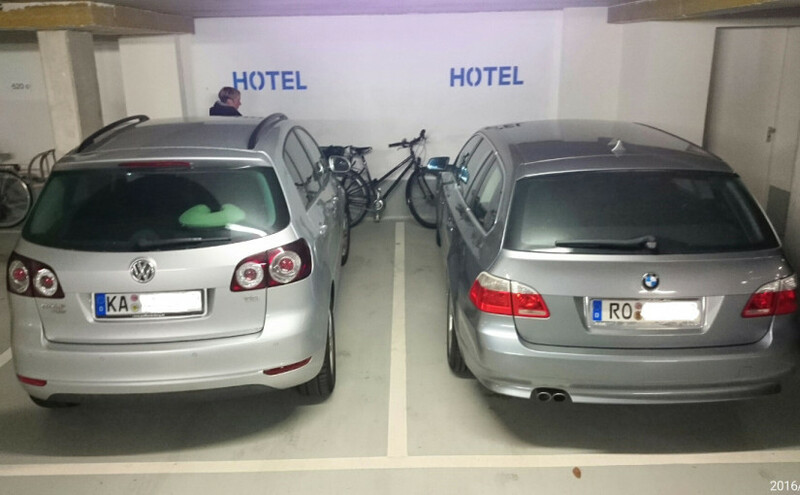 Our impression would have been even better, if Hotel Behrmann had provided some safe, covered bike parking or Sheffield stands in the underground garage! The friendly staff accepted to keep our bike panniers in reception after check-out, while we visited Blankenese’s stairs quarter “Treppenviertel”.